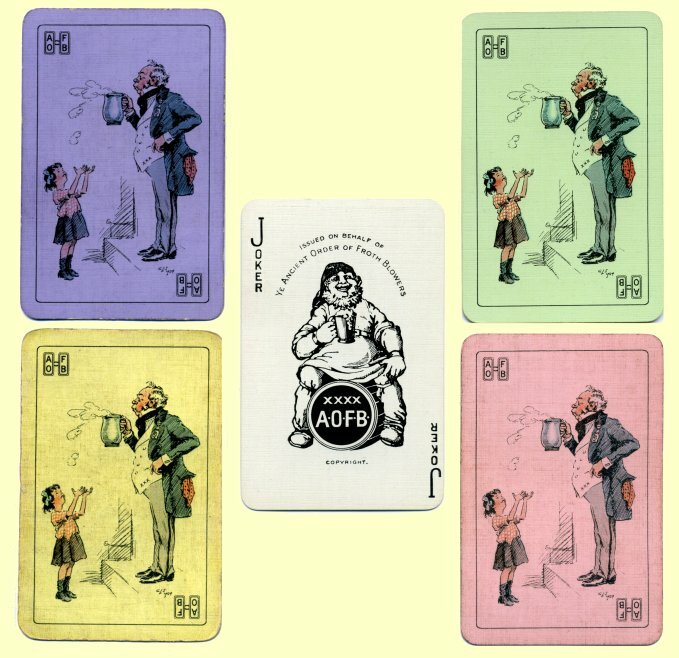 De La Rue produced packs of linen faced playing cards in 1924 including a special joker, priced at 2 shillings (10p decimal). They were available with 4 different pastel coloured backs - mauve, lemon, green and pink. The joker features the A.O.F.B. jolly brewer . 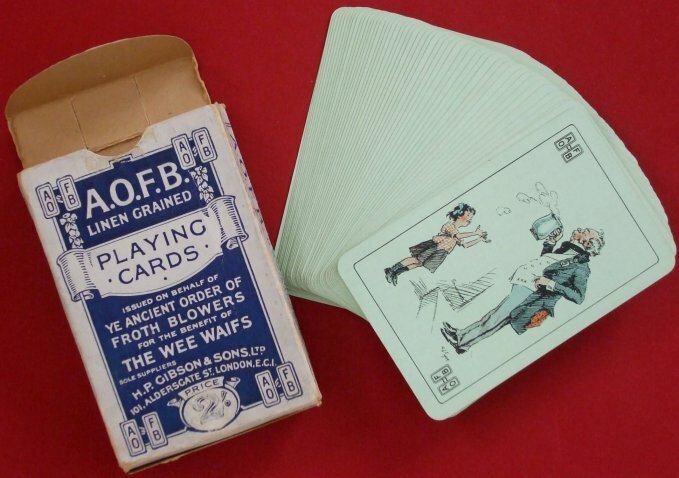 The card back is illustrated by George Lorraine Stampa, a prolific illustrator of the time and a regular of Punch Magazine. The design also features in the membership book of ritual.